The Startup Weekend is a non-commercial event promoting aspiring entrepreneurs with entrepreneurial experience. Teams with similar interests will be heavily supported throughout the first stages of developing individual business ideas - from the very initial inspiration to a viable business model. Eventually, the final pitches will be presented in front of and awarded by a panel of judges consisting of (inter-)nationally well-experienced actors within the startup scene. How does a Startup Weekend work? In general terms, everyone with a potential business idea aiming at further developing and implementing it after the weekend, will be encouraged to pitch it in front of all participants in order to find suitable team members to work with during the weekend. The following two days, each team will individually work on their business idea. As these advance throughout the process of building their business, mentors specialised in different fields (Management, Marketing, IT, Finance etc.) will provide guidance and support by sharing their profound knowledge and experience. The results will finally be pitched in front of a panel of judges that evaluates each concept. The best presentations and teams are then awarded with valuable prices. Each and everyone being on a lookout for new challenges should participate, particularly those enjoying conceptual work within a very dynamic and highly inspiring environment, and everybody who feels intrigued by developing a viable and profound business idea within a short time period. From a very rough founding idea to the creation of an enterprise within 54 hours: Take full advantage of the great potential provided by the network of well-versed business angels, mentors, speakers and judges. They are experts and sovereign actors within the startup scene within and outside of Germany, present and available during the entire weekend. Do I have to pitch an own business idea? No, you don't have to reveal your idea, if you prefer not to. Anyways, you may miss out on a great chance to learn how to avoid mistakes that most inexperienced entrepreneurs make and how to turn your very own startup idea into a profitable business. At worst, another team will pitch the same or a similar idea at yet another Startup Weekend, win the competition and successfully enter the market. Be entrepreneurial, be courageous, live the spirit , live progress, be open-minded and have no regrets! 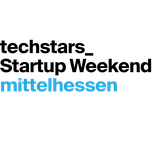 Join Startup Weekend Mittelhessen! We are all in this together! The outcome will absolutely depend on you. Maybe you want to jump at the opportunity and translate your business idea into action with the team members you have shared the weekend with. Maybe not. Eventually, it will depend on your long-term aspirations and individual goals. We gladly provide for a common platform here in Mittelhessen for you to gain first insights and experience within the startup environment. I.e. you will have the exclusive opportunity to develop and pitch your business idea in front of a panel of experienced and well-chosen actors of the (inter-)national startup scene and profit from profound feedback. The first three pitches will be awarded valuable prices. Beside, the best startup idea in the field of Life Sciences will be separately awarded! Other than that mentioned, you will benefit from professional input provided by versed mentors. And that is not all: Naturally, you will also be 'powered' with food and drinks throughout the entire weekend! Discover the facets of entrepreneurship and broaden your horizon working in a startup environment. Acquire new competences, gain profound feedback from experienced mentors and judges, meet potential investors and competent team members you couldn't wait to convince to put your business idea into practise with! Still wondering why to participate? Our visionary goal is to promote the regional startup scene in Mittelhessen. By creating a common platform, the combined force and the full entrepreneurial potential of the region will come together and benefit everyone interested to gain (first) insights and perform within an entrepreneurial realm - no matter whether young or old, absolute beginners or established entrepreneurs. Everybody is invited to join us at the Startup Weekend Mittelhessen to get inspired, to exchange and create innovation!